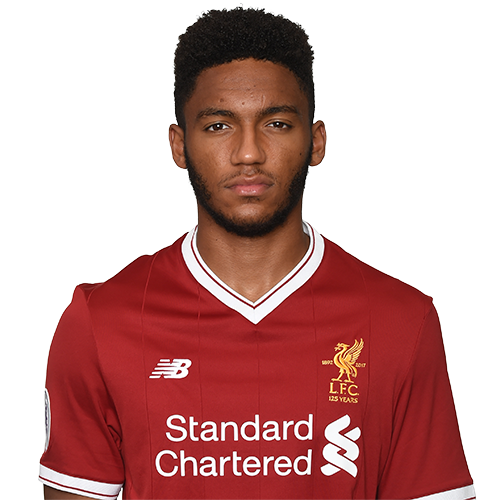 Liverpool clinched the signature of highly-rated young defender Joe Gomez from Charlton Athletic in June 2015. Gomez's move to Anfield came after just one season as a professional, but the speed of his ascent simply underlines the ease with which he has adapted to the rigours of first-team football. The teenager's potential was apparently evident from an early age, as he was promoted to the Addicks' U18 team as a 13-year-old. His rapid progression through the club's academy set-up was subsequently rewarded with caps for England at U16, U17 and U19 level. And he enjoyed the finest moment of his fledgling career thus far with the U17s in the summer of 2014, helping them claim the European Championship in Malta. Gomez featured in the victory over the Netherlands in the final and his efforts throughout the competition earned him a place in the Team of the Tournament. The 2014-15 campaign saw him build on that success by making his debut at the Valley, as he played all 90 minutes of a 4-0 League Cup thrashing of Colchester at home. Just a week later the defender was given his Championship bow and, again, Charlton won as they saw off Derby County. Gomez continued to rack up sporadic appearances last season before an ankle injury suffered in October curtailed his progress briefly. However, he returned to the side in December and, barring a brief stint away from first-team duties in February, was a virtual ever-present from then on. His regular involvement at such a tender age was made all the more impressive by the fact he was asked to play at right-back, left-back and centre-back at various points of the campaign. Such versatility, maturity and quality were just three of the reasons why Brendan Rodgers moved to secure the talented Gomez.